The BullionStar Mint Gold & Silver Bars are the first-of-their-kind globally. BullionStar Mint Gold & Silver Bars are unique in that they can be traded without any spread between the buy and sell price at any given point in time. These minted bars are produced by renowned LBMA-approved precious metals refineries and feature high quality characteristics and attractive designs. 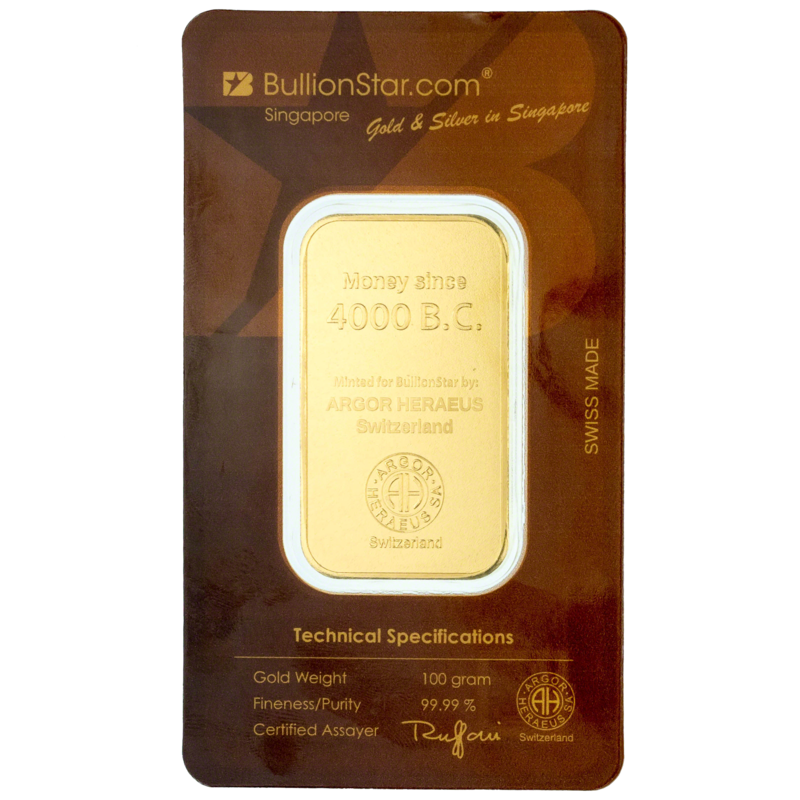 BullionStar 100 gram Gold Bars are produced exclusively by world renowned LBMA-approved Swiss gold refiner Argor-Heraeus on behalf of BullionStar. These minted 100 grams gold bars have a high-lustre finish and a gold purity of 99.99%. Argor-Heraeus is fully owned by the Heraeus refinery of Germany. 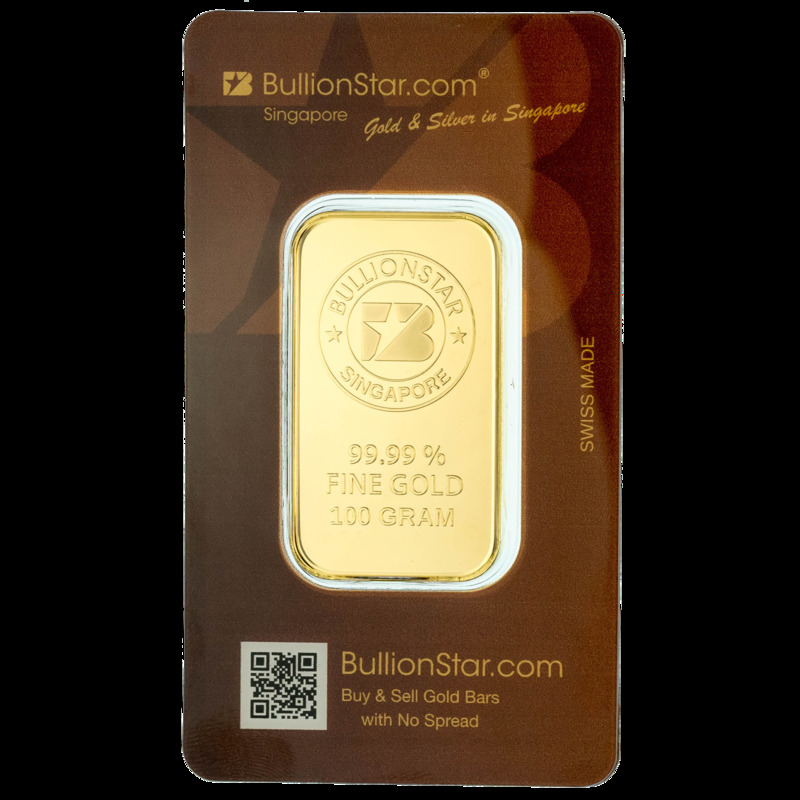 The front of each BullionStar gold bar displays the BullionStar logo and is embossed with the bar's purity, 99.99% fine gold, and the bar's weight of 100 grams. The reverse of the BullionStar gold bar features the words "Money since 4000 B.C", a sentiment which reflects BullionStar's ideological belief that gold is money. When you buy 10 pieces or more of the BullionStar Gold Bar, there is no spread between the buy and sell price, i.e. the buy and sell price are the same at that point in time. 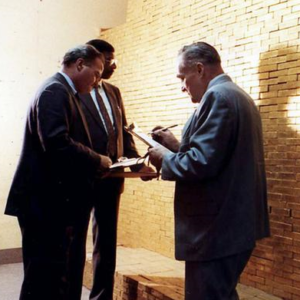 This makes the BullionStar Gold Bars an ideal way to trade and save in physical gold. For transactions in less than 10 pieces, there's a small spread between the buy and sell price. Each BullionStar Minted gold bar is presented within its own secure tamper-proof Certicard blister packaging which also displays the signature of the Agror-Heraeus refinery’s certified assayer. The BullionStar Gold Bar has a minimum holding period of 7 days. 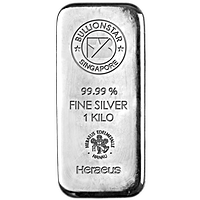 The BullionStar Silver Bar is a 1 kilo minted silver bar produced by LBMA approved refineries such as the famous Heraeus refinery in Germany on behalf of BullionStar. 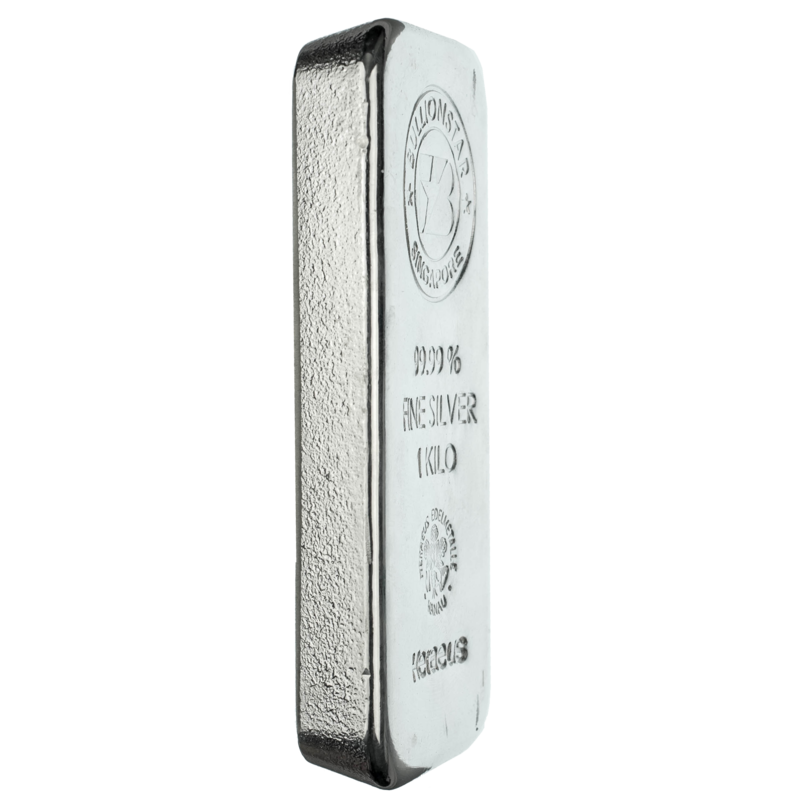 Each 1 kg silver bar has a silver purity of 99.99% and a minted finish to the front surface of the bar. The front of the bar also features the BullionStar logo along with the bar’s weight, fineness and the underneath, the refiner’s brand “Heraeus Edelmetalle Hanau” encircling the well-known Heraeus “hand with roses” motif. When you buy 100 pieces or more of the BullionStar Silver Bar, there is no spread between the buy and sell price. This makes the BullionStar Silver Bars an ideal way to trade and save in physical silver. For transactions in less than 100 pieces, there's a small spread between the buy and sell price. The BullionStar Silver Bar has a minimum holding period of 7 days. 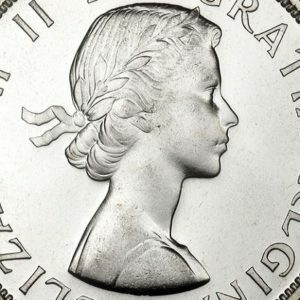 * This website may contain information that BullionStar Mint Gold Bars and BullionStar Mint Silver Bars can purchased or traded with no spread between the buy and the sell price. 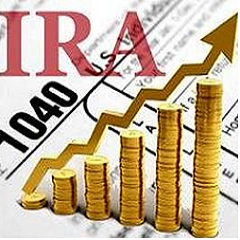 Such information refers to orders settled in Singapore Dollars where the Customer purchases a quantity of bars qualifying for the lowest price tier as presented on the website. 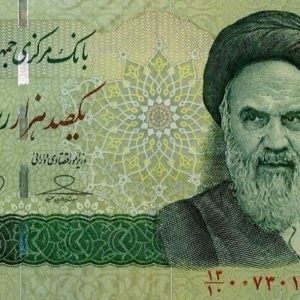 For orders with a lower quantity than the lowest price tier or for orders settled in other currencies than Singapore Dollar, a spread between the buy and sell price may apply.